In NYC, we get pretty good Mexican food and drinks, so much so, that one is spoilt. Mexican cuisine is considered cool, and of the moment – see this post in the NY Times. A few years ago, I went to Cancun and had the most miserable experience when it came to food. Talk about mis-matched expectations!!! In my mind, Cancun is in Mexico and ought to have fantastic food. On every trip (and not just to Mexico), I look forward to eating what the locals eat, which to me offers a window in to their culinary tastes, how it is shaped by their geography and how it influences their culture. In case you weren’t sure, I was keen to eat Mexican food in Cancun – one can’t go wrong with that, or so I thought!! That trip was during the early days of blogging, and food blogging too. So my research was limited to guidebooks and Hotel Concierge recommendations. Often, the experiences were disappointing. In a touristy city such as Cancun, especially in the Hotel Zone, most restaurants offer mediocre fare and I am not merely referring to Senor Frog’s or to Margaritaville. One can get better Mexican food at Chipotle Mexican Grill. 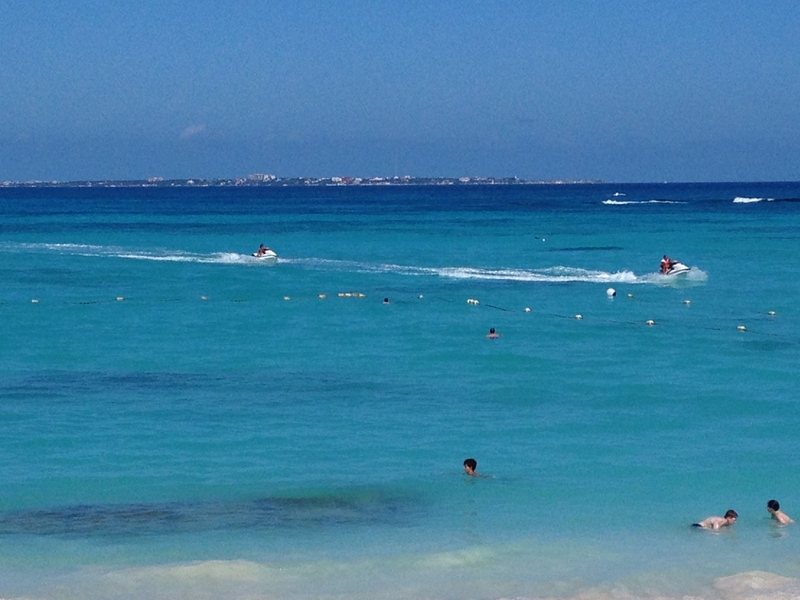 Over the holidays, I went back to Cancun, to get some much needed time by the beach and had braced myself for the mediocrity of food there. My research (this time from the food blogging world) offered little hope. Imagine my pleasant surprise with almost every meal that I had in Cancun – and I was able to find many delicious vegetarian dishes too. So, here is my contribution to the food blogging world with the next few posts about my experiences in Cancun. Many of you know that chocolate was discovered in Mexico. How can one not have chocolate, ah, (sorry), cacao, in Cancun? When I read about Ah Cacao Chocolate Cafe right in the hotel zone that I was staying in, how could I not go there to check out the chocolate? Especially, when I read that it was recommended by Food and Wine, Travel + Leisure, Rachael Ray etc.? I had to check it out for myself… and I was not disappointed!! 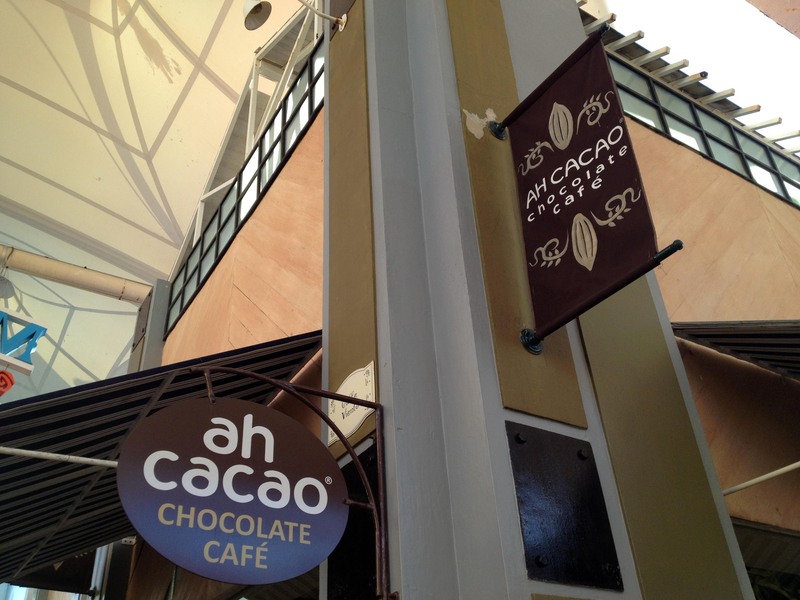 The outlet of Ah Cacao that I went to was in La Isla Shopping Mall in the 17 mile hotel strip in Cancun – the closest to the hotel that we stayed in. 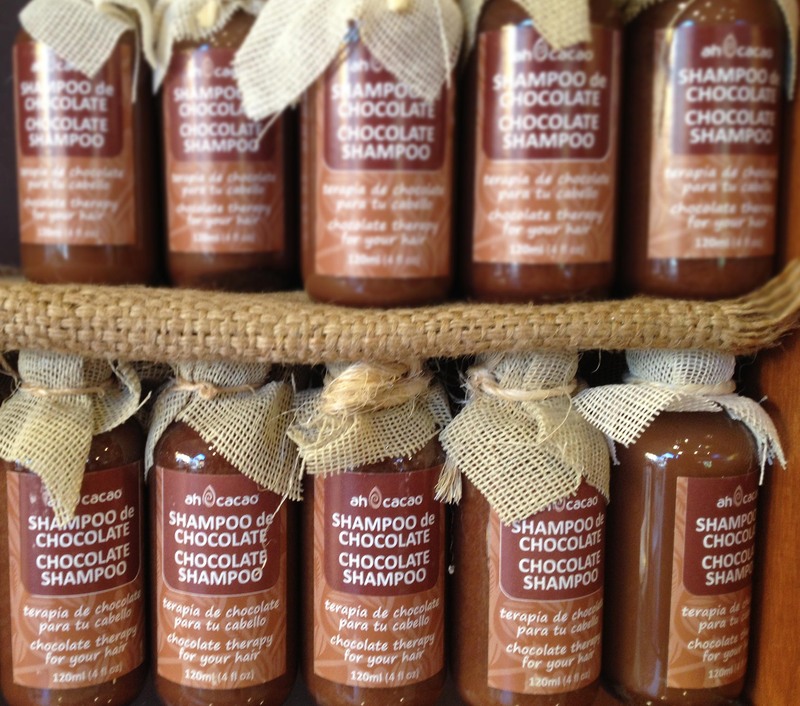 While it’s a Cafe, besides chocolate, coffee, sandwiches, and desserts, the store also sells chocolate body oil and shampoos. I am not very fond of my cosmetics smelling like food, although Body Shop and Bath and Body Works are clearly doing well with multiple products smelling of fruits and chocolate!!! Now about the chocolate and the what we ate there. 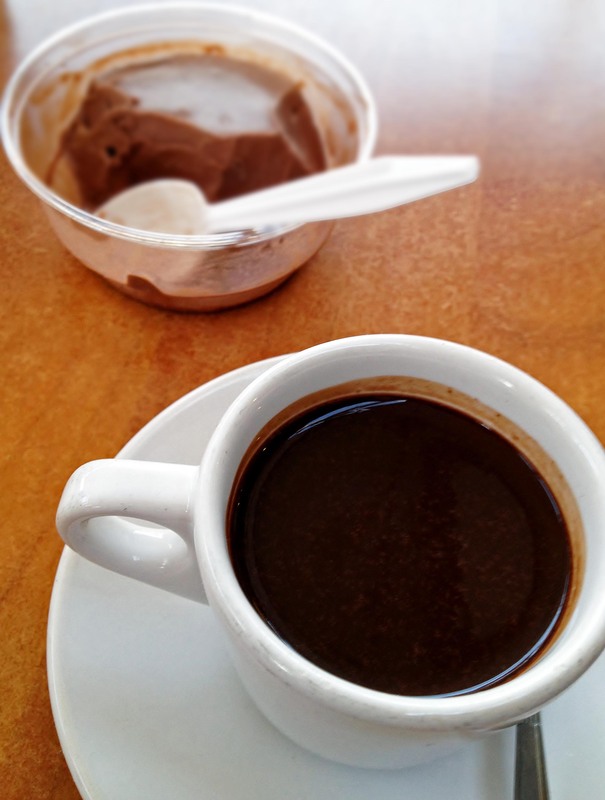 We had the Sipping Chocolate – a demitasse (about 3 oz) of pure melted Ah Cacao dark chocolate (yes, its vegan too!). Drinking such a tiny cup of dark chocolate was heavenly. The chocolate was dark, but not bitter or too sweet, and was rich, almost velvet-like in texture, but not too decadent. Just a few sips satisfied my chocolate craving – I did not want to have too much, lest I get used to it. Too much of anything is not good, right? We also had the dark chocolate ice cream (helado). 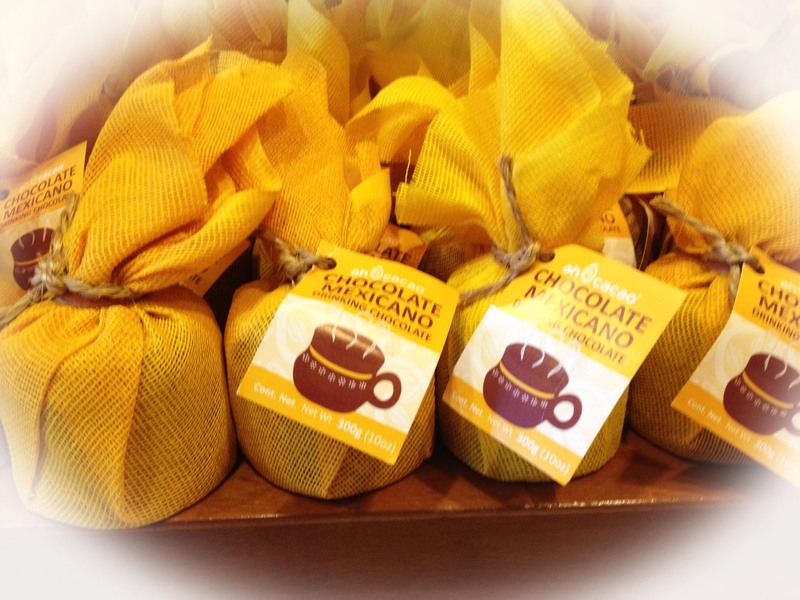 The Ah Cacao ice creams are all freshly-made, hand-made and natural. The ice cream that was a welcome cool snack for the extremely warm weather there. It was almost mousse-like in texture and again not too sweet or too bitter, although creamier than the sipping chocolate that I had just had. Other helado flavors were spicy dark chocolate (I am guessing it had cinnamon and may be cayenne), vanilla, hazel nut, and coconut. I was tempted to pick up a bag /small bottle of drinking chocolate, but gave up the idea for the lack of space in my bags. 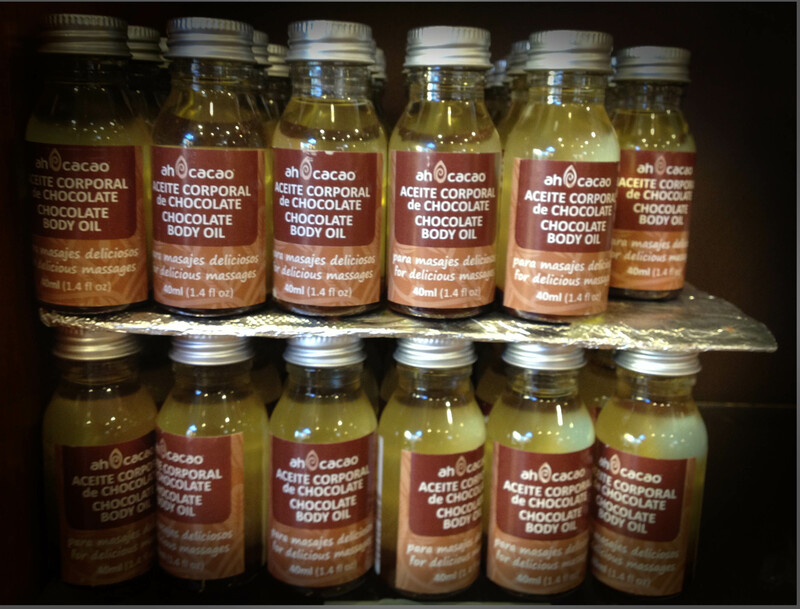 May be next time…..
You can enjoy products of Ah Cacao in their outlets in Playa Del Carmen, Cozumel, and in other parts of Riviera Maya and in Canada too!